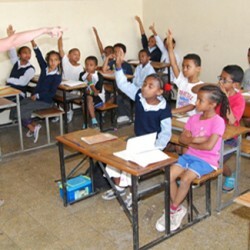 The School has undertaken an English language Improvement project during the 2012-2013 academic year. 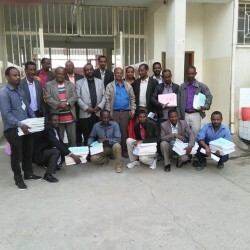 As part of this English Language improvement project, it has hired foreign English language instructors to share their experiences with the school’s Ethiopian teachers. 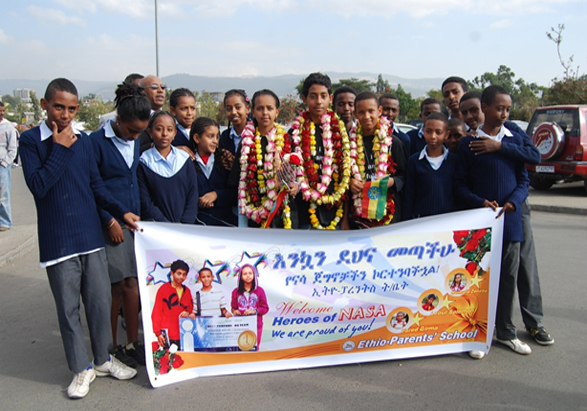 The Ethio-Parents’ School has long placed strong emphasis on mathematics and science education. Modern laboratories support the school’s science teaching. 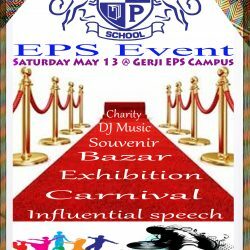 Ethio-Parents’ School is the first indigenous private school in Ethiopia to focus on information and communication technology (ICT) as basic teaching elements, and to integrate them into every course syllabus. In addition to Parents’ Day at the end of the academic year, the School has an Annual Awards Day at which the Board of Directors of the Company recognizes students who have excelled in the national examinations. The staff members of the Education and Technology Department are subject specialists with advanced degrees and qualifications in each core area of the subjects taught in the school. The Quality Assurance and Supervision Department serves as an independent monitor of the teaching and learning process across the campuses. 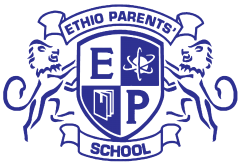 Ethio-Parents’ School (EPS) was established in 1995 as a community school,and is managed by HOHETE TIBEB Share Company (HTSC). 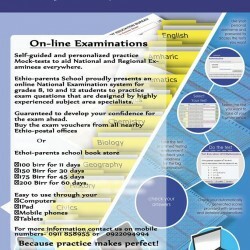 Our online examination vouchers are now available at all Ethio-Parents School branches, Ethio-Post office branches all over the country, Universal Book Shop and Ankebut Book Shop. Well done to our one and only Daniel Zeleke achieving top marks and full Scholarship to Harvard University, USA! 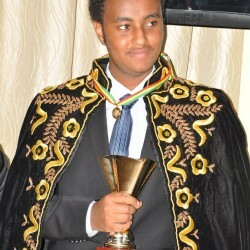 Daniel Zeleke student of Ethio-Parents School has won Student Incentive Scheme of EPS by which he awarded 7gram gold medal and trophy cup because he scored 633 on Ethiopian University entrance examinations. 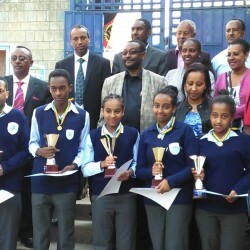 Congratulation to Ethio-Parents School students 1. Mahlet Desalegn 2. Yordanos Esubalew 3. Alula Solomon 4. Estphanos Bekele 5. 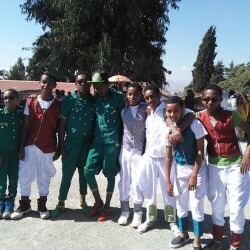 Jerusalem Mesfin 6. Ruth Lakew, for winning EPS student incentive scheme by scoring the highest mark on grade 8 regional examination. 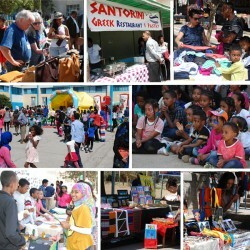 Ethio-Parents School has donated more than 8000 supplementary reading materials for ten government primary schools in Bole Sub-City on October 30,2015. EPS Gulele branch students celebrated the Nations and Nationalities day.